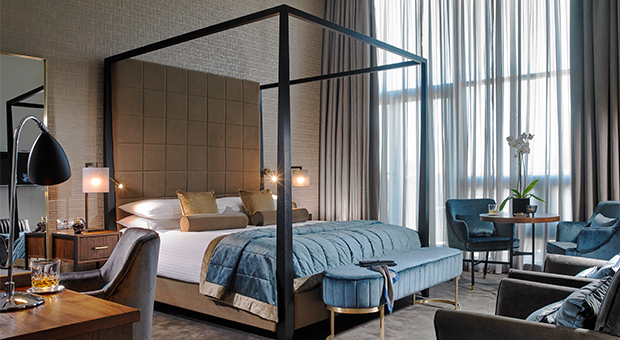 To celebrate Flynn Hotels’ END OF SUMMER SALE you could win a luxurious two night break for two in a newly refurbished suite at a Flynn Hotel of your choosing, including dinner on one evening of your choice and breakfast both mornings. Flynn Hotels is a family owned hotel group with four exceptional properties across Ireland - The Imperial Hotel in Cork City, Newpark Hotel in Kilkenny, Old Ground Hotel in Ennis, and The Park Hotel in Dungarvan. The hotel group recently underwent a €3m refurbishment which saw luxury upgrades across all four properties. Flynn Hotels’ 7 Day End of Summer Sale runs from Monday, August 27th to Monday, September 3rd, with 15% off Bed & Breakfast rates in all four hotels; so whether you are looking for a city break, family getaway, or a romantic weekend in Ireland, Flynn Hotels is the perfect choice. Don’t worry if you miss out the great Summer Sale rates, you’ll always find great offers at www.FlynnHotels.com. The promoters are Independent News and Media Public Limited Company, 27-32 Talbot St, Dublin 1 (“INM”). Flynn Hotel will provide the prize to the winner. The competition runs from 7th September to 05th October.